Guest blogging is something that still scares off many writers. To show you that it’s not a boogieman here is a series of posts on everything you need to know about guest blogging but never dared to ask. And it’s time to wrap things up, my friends. 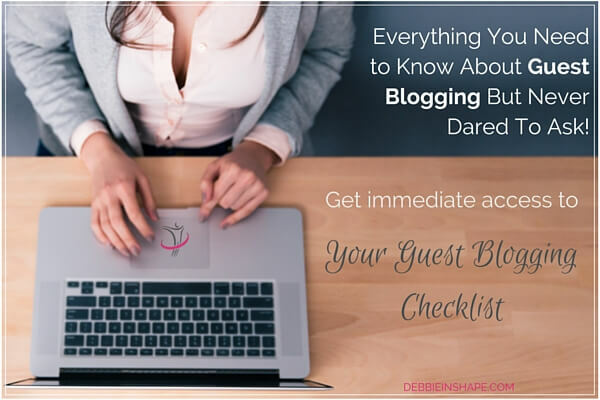 With the information I shared with you the past 5 weeks, you’ll be able to start scoring opportunities and leveling up your guest blogging skills. Always remember that your first guest post doesn’t have to be perfect and it won’t. Whether you are a brand new blogger or one “seen on” a famous site, you are still growing. Anyone interested in becoming better is improving every single day. So I’m going to repeat myself: don’t wait for the perfect time. Your time is now! To help you get things rolling, I prepared a guest blogging checklist for you. With it, you won’t be missing any step on the way. You can print it or use it electronically. While the advantage of having it on paper is that you can make notes on it, the e-version contains links to the related posts. If you want to read the original posts again, they are all one click away. What is left now? 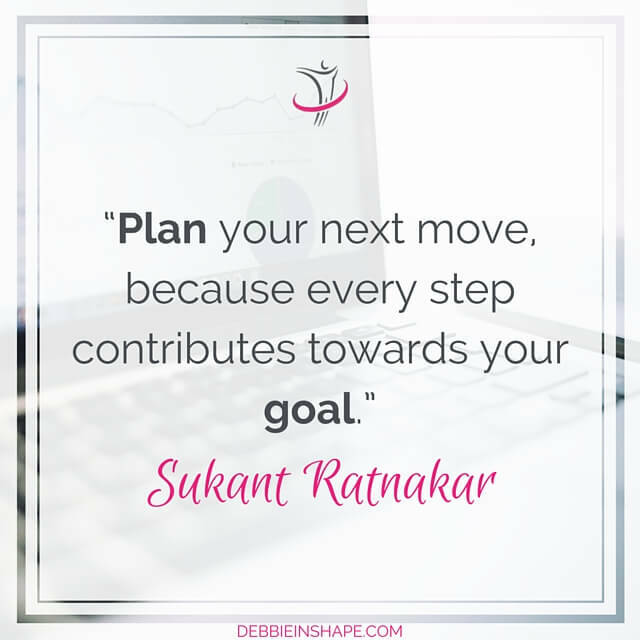 Plan your strategy! As a blogger, I know well how it goes. We consume massive amounts of information every single day. We absorb tips from the friendly bloggers we visit, fantastic articles we read or great courses we follow. It’s so much information we feel overwhelmed and get stuck. You look around at all the things you already have to do for your own blog, plus family, work, and life in general, and you freeze. Believe me: time is there. It’s just a matter of planning it well. If we compare the life most of us have nowadays with the one of our (great-)grandparents, the number of responsibilities increased dramatically. It’s not that they didn’t do much. But because most the work was done manually, there were only that many activities one could perform during the day. Now we can stand on a line, listen to music while reading the news or checking what our friends are up to. Everything at the exact same time! I forced myself to cut down the multitasking for the sake of mindfulness, and I don’t regret it. I have been more productive since, doing a lot more I thought I could handle. But it doesn’t end here. One exercise you should also do on a regular basis is reviewing your priorities. You set your goals and define your plan to accomplish them, but life happens in between. Maybe you thought you would be able to get home on time every day this week, but you had to do some overtime because of some urgent matter. You hired a babysitter to watch the kids while you worked on your ebook, but she got sick, and you didn’t find a replacement. Your computer crashed, and you’ll be able to get another one before the end of the month. All these things happen to people every single day whether they are great planners or not. In my case, I started to provide Holistic Life Coaching sessions. One of the changes I already announced and implemented was the end of my link party Tip Tuesday. Even though I love putting the link party together and am thankful for the relationships I built through it, I had to free time in my agenda for my clients. For you, it might be watching one TV show less per week or blocking a couple of hours in the weekend to work on your guest blogging. Or you may even need to rethink your editorial calendar and change your posting frequency to free up time. Either way, you want to optimize your (blogging) activities without missing other responsibilities or neglecting your well-being. An eight-hour night sleep is not a luxury. You want to play safe and take your time when setting goals and building relationships. Read as many guest articles as you can. Become a student of the game. Don’t neglect your website. Improve your content with every single post. You want to be ready to write your best blog ever when you score the opportunity of your dreams. Be realistic. I don’t mean to be negative about the quality of your content, but be careful with over-confidence. While the first will stop your progress, the second will damage it. Set a deadline and work it out. Let’s say that you want to have a guest post published before the end of the year, don’t wait until tomorrow to set your goals. Be consistent with your plan. Don’t leave things for tomorrow that you can complete today. If you only have 1 hour free per day, cut down Facebook time and use it on your blog. 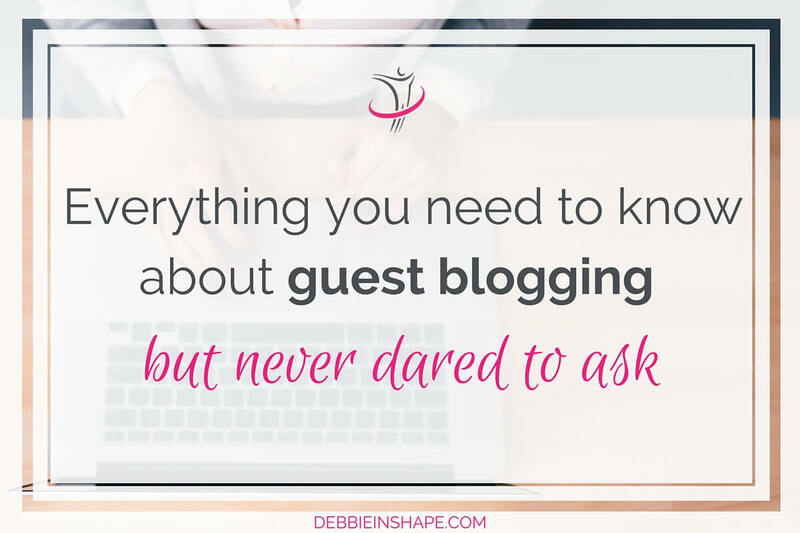 As you already know, we are offering guest blogging opportunities for Debbie in Shape. Please note that the guidelines have been slightly updated to be in line with the new direction of the blog. My friend Haley from Haley’s Vintage also offers regular guest blogging opportunities. Her guidelines can be found here. 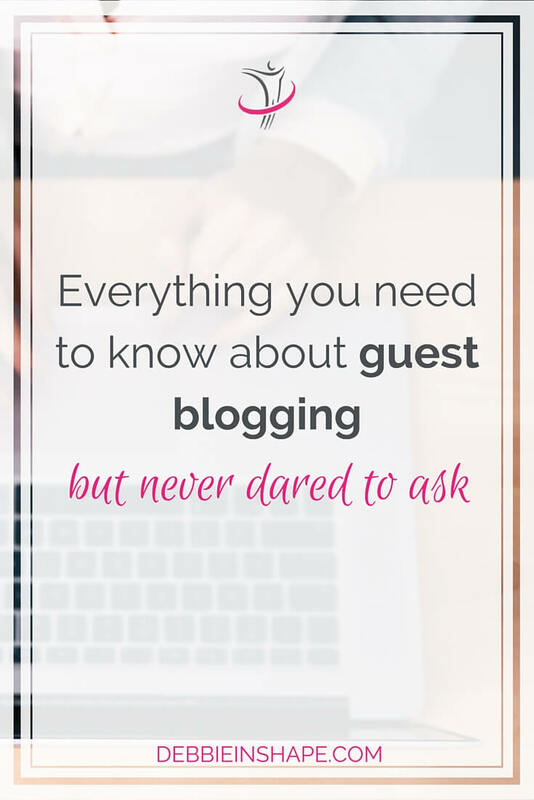 I wish you many successful guest posts and may these tips be useful to you.